Who can work in America? The US has been named the country that has the highest number of people seeking tom come in, live and work. The truth is that many people try to come into the US with different work permit types. But a good look at it has also shown that the aim at the tail end of this ambition is to live and work in the US. While some come with student’s permit, others come with holiday passport, events, immigrant documents and many others. But a good look has shown that one thing at the heart of many people who seek entrance permit to the US is to come in and live and work. Every year, thousands of workers are welcomed by the US and they come to work in multiple occupation types. The most prevalent of these are religious workers, artists, IT specialists, cultural exchange workers, scientists, engineers, medical personnel, investors, athletes and many others. However, before you come in with any of these categories, you must obtain due and legitimate passport and travel documents and meet the conditions for entry authorization. So who can work in the USA and how to get an American work visa? However, when you do not meet any of these, you may be denied re-entry or removed from the USA. Many people have said that the work visa for USA is one of the most difficult to obtain since it is observed that you are coming to America in for your own benefit and not to benefit the state alone. However, there are different types of documents on workers category that any visitor in the USA must belong to before he or she is allowed to work legitimately in The States. Before you relocate you may want to check what are the living costs in the USA. Find out if you can afford to live your American dream. 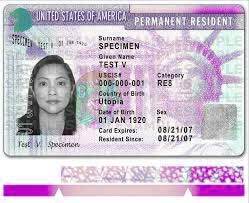 A non immigrant permit is one that does not confirm you as a visitor to come and relax in the states. Non-immigrant workers are people who come into the USA for specific reasons, and who are expected to stay for specific periods of time before they go back to the country where they are coming from. In this case, it may be a student, a holidaying person or even people attending conferences, seminars and many other temporary visits. They are allowed to engage in part time or full time works within the period of their stay and are restricted to the activity for which they came in. This is a situation where people are authorized to live and work in the United States. In this case, when you are coming in, you come in with the authorization to come live and work in the states. This gives you the right to many things and in some cases almost same with the citizens in terms of work. The students and exchange visitors that come into the United States of America are helped by the government by allowing them to work for some hours each day. The hours and period for which they are authorized to work is completely restricted, so that they will have the time to execute the academics for which they are in the states. However, before they are allowed to work anywhere, they have to present some authorization document from the relevant bodies. A student will present a proper and well signed authorization document from a Designed School Official (DSO) while an exchange visitor will present a document from a Responsible Officer (RO). If you need a help to get your goods across the ocean our moving companies to USA will be happy to help. This is another set of people that may be given the authorization to work. Many people come into the United States for businesses that will take them sometime to conclude. In this case, it will be very possible to allow them some hours of restricted work while the business period is running. 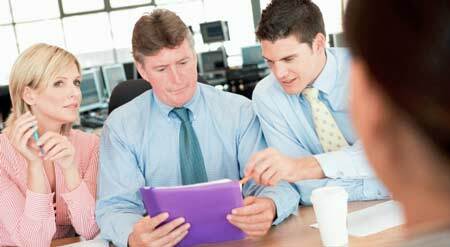 However, not many business visitors are expected to seek for job, but then, some of them do seek. All employers have this information at their disposal and will always confirm this before giving employment to any visitor. Because of this, you must fulfil all requirements before you set out in search of job in the United States. In cases, where additional authorization is needed, you must also insure that you get such from the relevant bodies or a waiver covering such documents as the case may be. For more information, help and advice on how to get a working visa for USA please contact our advisors. There are also other working in America permit types available for example fiancé, tourist, travel, holiday electronic passport. Your work permit application can be made online or in writing. Depends on the type the document you want to get you will have to wait for get it from 2 weeks to a few months. Whether you are just a tourist or you are planning to relocate at some point you will need to contact a UK to USA shipping companies to request shipping costs.